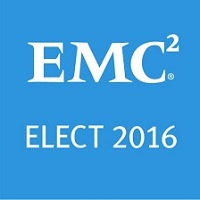 EMC declared 2016 as the Year-of-Flash and they had a few interesting products added in their All-Flash portfolio this year. ISILON AFA, VMAX 250F contributing more to this line-up and a few other announcements were the highlights of the Last week at Dell EMC World. I thought of putting all the major product announcements from the event together in a single place here in this post. Dell Servers & HCI : One of the key announcement at Dell EMC World was their move to go with the Dell Servers in their Hype-Converged solutions. VxRack and VxRail systems are gonna be in the market soon with Dell Servers in them. This new approach will help customers with cost-efficiency and better support. ISILON AFA (Nitro) : The All-Flash ISILON array is one of the biggest attractions from the Dell EMC World 2016. I have written a detailed post here about the product. The ISILON AFA (previously known as the Project Nitro) is a solution for the performance intensive NAS workloads. AFA chassis can be added to the existing SAS and NL nodes as a performance tier also. EMC ECS : EMC ECS announced a few feature enhancements including some from a management perspective with the new release ECS 3.0. ECS has a new denser hardware introduced which increases capacity density by 64%. Dell EMC now have a software-only solution also of the ECS which can be installed on certified Dell servers. Some of picks from Data Protection is Software-Only version of Data Domain with Dell servers support. You can read more from the announcement here. I believe that sums up the major announcements from the event. If you feel I missed something important, please feel free to let me know. Comments are always welcome. This entry was posted in All-Flash, Announcements, EMC, Events and tagged Dell EMC World, Dell EMC World 2016, Isilon Nitro, VMAX 250F. Bookmark the permalink.